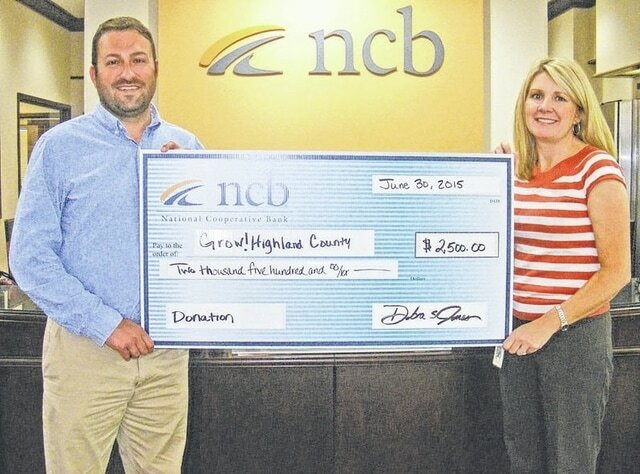 NCB recently donated $2,500 to Grow! Highland County, a grassroots economic development program designed to assist entrepreneurs and small businesses in Highland County. The funds will be uses to maintain and expand the enterprise facilitation model in Highland County. Pictured are Pete Pence, enterprise facilitator for Grow! Highland County and Heather Cummings, NCB marketing communications manager.